The adorable anemone with its winsome face and rich color brightens the bridal bouquet. This Anemone Pendant keeps fresh the memories of its wearer, bride, bridesmaid, graduate or self! 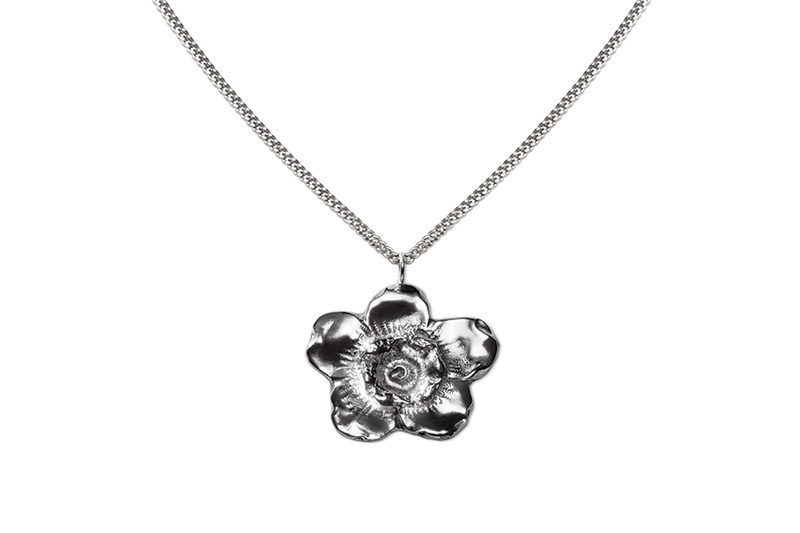 Delicate 16" silver chain and nickel-sized hand-edged bloom fits beautifully.